The Winston-Salem Chronicle recently reported that the Liberty Street Market was “in transition once again.” Once again, in the market’s short, but troubled history it’s without a manager. But setbacks at the Liberty Street Market are hardly news. To say that the Liberty Street Market is in “transition” implies that the property is in motion. In truth, the Liberty Street Market has been mostly dormant since it opened in October 2014. 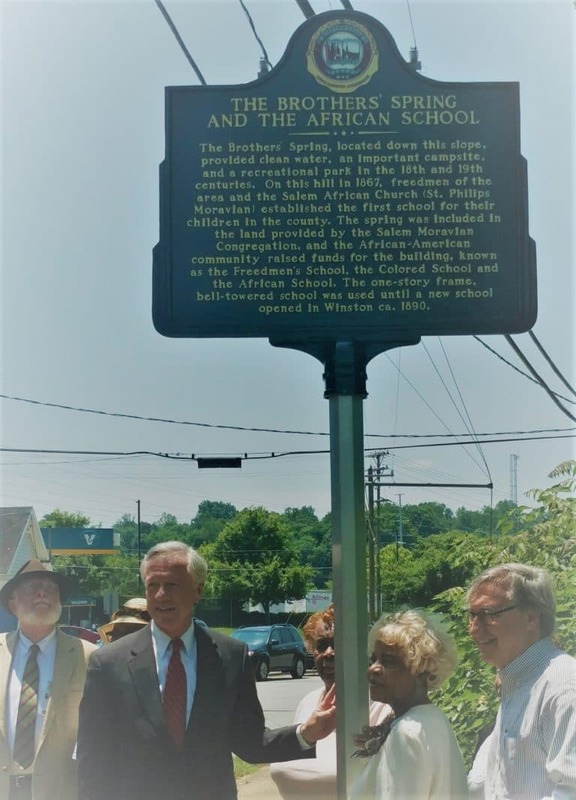 It’s an utter failure, a monument to the incompetence of the Winston-Salem City Council, particularly Mayor Pro Tempore Vivian Burke. Fundamentally the market never fulfilled the vision that the Mayor Pro Tempore had for it; a thriving market with produce and a variety of goods to offer residents of the Liberty Street Corridor. Mayor/W-S Alliance President Allen Joines said at the October 2014 ribbon cutting, that the market would “bring a lot of vitality here to this part of the Liberty Street area.” It hasn’t. 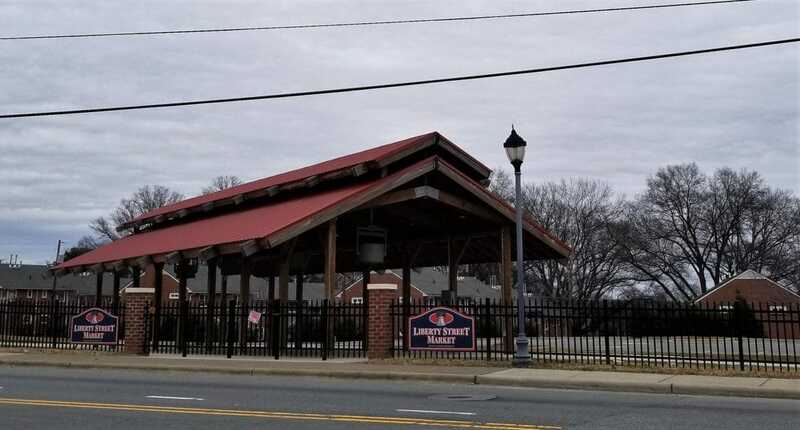 The Liberty Street Market is a scandal that everyone in Winston should be aware of; $350,000 for a market that’s been unused for the majority of the time since it opened (estimates reported by both the Journal and Chronicle). The Liberty Street Market, along with New Hope Manor is perhaps the biggest failure in Burke’s 30 years on the city council. It reminds me of another even more expensive project that also goes unused the majority of the year-BB&T Ballpark, a $48.7 million ballpark that has yet to stimulate development around it. But that’s the pattern in Winston. 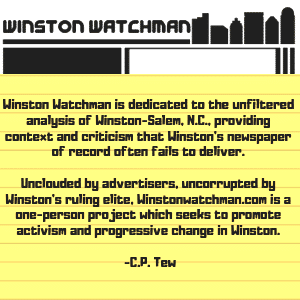 The mayor wastes millions on Downtown Winston and the council members representing East Winston get to spend hundreds of thousands of dollars in their wards for pet projects that often fail. The Liberty Street Market isn’t “transitioning” and neither is East Winston. Despite plans for a new Cleveland Avenue, the “East End” and revitalization along Martin Luther King Blvd, little seems to change in East Winston. While Downtown Winston has been transformed from a sleepy city center into a destination, nothing has changed for the better in East Winston. The Liberty Street Market represents the City’s failure to address the problems challenging East Winston; poverty (especially child poverty and the lack of social mobility), crime, a lack of jobs, and disinvestment. The Liberty Street Market is in middle of a food desert. On one side of it, there are convenience stores that sell legal vices to the community. On the other side is the Cleveland Avenue Homes-the city’s largest concentration of public housing. The convenience stores selling malt liquor and menthols show the failure of the private sector to invest in East Winston in a positive way. The Cleveland Avenue Homes demonstrate the failure of the government on the federal, state, and local levels. The sprawling Cleveland Avenue Homes complex and the surrounding low-income apartments, such as New Hope Manor, could not have been built without a massive urban renewal program which destroyed thousands of Black homes in the 1950s and 1960s. Bulldozing good homes and replacing them with aesthetically unpleasing public housing units destroyed many of Winston’s Black communities-including East 14th Street. It was the equivalent of Rome salting Carthage in ancient times. Given the tragic history of East Winston, it’s imperative that current city leaders do all they can do to help alleviate the entrenched poverty that is a legacy of the city’s Jim Crow past. Instead, Mayor Joines and Mayor Pro Tempore Burke are adding insult to injury when they support projects that have a very small chance of succeeding in neighborhoods that desperately need successful projects to turn them around. It might be time to start over and bulldoze the Liberty Street Market. Those buildings were poorly designed and can’t be used during the winter months. Likewise, its time for Mayor Joines and Mayor Pro Tempore Burke to retire for the good of East Winston.